CORE Education’s annual professional learning and development conference for educators took place on 5 -7 October 2016 at Rotorua’s Energy Events Centre. Rotorua was a blaze of colour with the tulips out in all their glory. In addition the centre had beautiful nightlight displays. I have taken each keynote speaker and made links with all the discussion based on the conference themes and then highlighted a key takeaway from each presentation. Innovatelearning through the structure of their work. Connectour students. Engagement is key. If students engage then they will succeed. Technology aids engagement. Collaborateby ensuring we MAXIMISE the potential of technology to amplify schools and education. Innovateby providing opportunities for our students to make something that will change the world. Many learning barriers of today are not set by system but by teaching practices. Teachers as agents of change. Connectwith the past because future focused ‘solutions’ are just someone else’s good ideas. Test lightly and collaborativelyand use our curriculum documents to guide us. Our one job is to keep the fear out of school. Now I could write a lot more about each session however you can already read a more detailed summary from http://www.events.core-ed.org/ulearn/keynote-speakers. In addition there are links to video clips shown. I was extremely grateful to Core Education for the earlier presentation time slot because this allowed me to relax and enjoy the rest of the conference. I gave a session which was partly narrative and partly a workshop. Here are my slides. I have already received Feedback for my next session. There were some constructive suggestions that are helpful for my learning so thanks to those of you who took the time to give me feedback. I attended a session from one of the spotlight presenters and this was Julie Lindsay. Julie’s and my history go back quite a way and I joined her session partly to acknowledge the massive influence she has had on me personally as an educator especially in focussing on whanaungatanga in everything that I do. You can check out the link to her session here. What is a global leader? Julie wrote a book titled ‘The Global Educator.‘ If you are looking for me I feature on page 100. (#JustSaying.) A lot of what she writes about me is the #EdBookNZ collaborative teachers’ book that happens each year as part of #CENZ month. If you want to know more, do check out her book and look out for this year’s team . The key takeaway I took from this session was: Collect the stories of our learners. I joined several round table discussions and used the opportunity to think about an action plan for implementing ideas in our ACCoS group. We were given an excellent readable document that highlighted areas for discussion for me to share with my CoL. The key takeaway I took from Caro’s session was: Give the learners permission and freedom to leave. Focus on the progress. Bring in blocks during reading time. We took part in collaboration as a process. The key message I took away was: Fear and passions come together for discussion. Experts and apprentices balance. Here is the link to our collaborative document. So overall what have I learnt from attending and presenting at Ulearn this year? Connections continue to drive what I do because I strongly believe that before you can collaborate you must make connections. I formed deeper connections with two teachers who braved ULearn with me this year. I give them a shout out. They are @HannahDavey01 and @MissSMorrison1. They outdanced me on the dance floor and nearly out tweeted me. I loved the way they took the learning all on board and just got involved. They even featured on the Core Education Blog. I reconnected with heaps of tweeps both face to face and virtually using #ulearn16 and #notatulearn16. Out of all the exhibitors present I took great delight in visiting Stand 60 which was Essential Resources stand. I stood back with pride at seeing my book with Pam Hook up there on the stand. (Just in case you are looking for a copy of SOLO Taxonomy and English Language Learners-here is the link.) Being true to my island heritage I had a quiet chuckle at how fabulously bright it was and wondered if we should have stuck a great big hibiscus on it as part of the background. Maybe we will do that for our next book. I collaborated with many educators both new and seasoned using digital tools and hands on tools such as Padlet, Google Docs, Twitter, Periscope. I am just conscious of driving the collaboration to a deeper level and push past the coblaboration stage. I took away some innovative ideas to trial with current CoLs that I work with. One tool is Arinui that I am keen to explore further. Another is the upcoming Flat Connection Project I am project leading under the guidance of Julie Lindsay. A further idea is using the SOLO Taxonomy vocabulary that I created with Pam Hook last year to structure Oral language with our English Language Learners at Newmarket School. To finish with just a MASSIVE shout out to @newmarketschool and the Board of Trustees for supporting our professional learning with this trip to Ulearn16. Now to our teachers we are coming back with some ideas that we are keen to trial. However ULearn doesn’t change the world, the experience changes #NPSFab teachers and we have come back changed. I began this post with a quote from John Dewey and end with this whakataukī from my session. Let us forge a pathway to the future and acknowledge our journey. I have researched the topic since the beginning of the year and wrote a blog post recently to clarify my thinking. The post was called Connected Educator and you can read that here. Then for over a month I gathered all the images together and created the presentation. When I build a presentation I have the abstract beside me to ensure that the talk reflects the abstract. Next over the past fortnight Wendy and I worked collaboratively using google docs to bring all information together. Some of the challenges I find when presenting with Wendy is she likes to fiddle with my slides. We had agreed that we would have the same number of slides and the same time to talk. However I know she does like to talk so it takes all my monitoring to ensure she stays focussed on the topic and talks to the slides. She thinks I am too controlling and not open to being flexible. Yet because I have been coordinating TeachMeetNZ and have prepared and presented at Eduignite many times I do have vast experience of presenting already. I work hard to ensure that the presentation flows and that I adhere to time. So in all it is a lot of fun. I know when the teachers come in and hear us discussing academically, sometimes in raised voices, they must wonder what is going on. 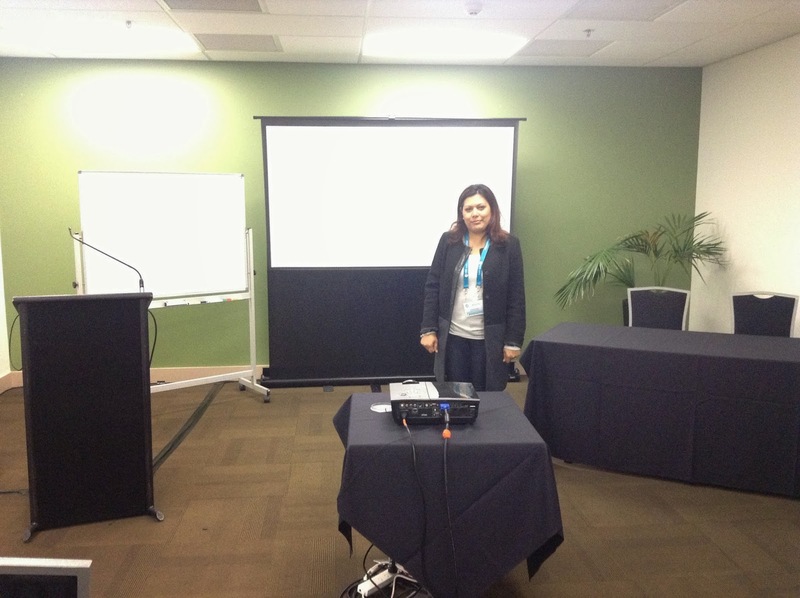 Finally on October the 9th I presented my inquiry of Connected Educator at Ulearn 2014. Dr Wendy Kofoed my principal was my co presenter, however that did not really happen. as you can see from the Core Education video below it appears that I was Wendy’s co-presenter. This is the third time that we have ‘co-presented’ and each time Wendy does take over the session. I do not mind because I feel proud that she is willing to be disrupted and be disruptive. It is a lot of fun having disruptive conversations. I was delighted to hear Wendy finally put aside 21st century learning and speak about learning and finally put aside Modern Learning Environment and focus on the learning environment. George Couros stated that ‘Innovation often comes from conflict and disagreement, not in an adversarial way, but in a way that promotes divergent thinking. The idea is not to go with the idea of one person over another, but to actually create a better idea that is often in the middle of the two ideas shared.’ So as you can see and hear our ideas around connected educator has evolved and we have a much better definition of a connected educator. Some of our written feedback missed the notion of disruptive educator and thought that we spoke negatively about Modern Learning Environments. I am happy with that comment because it means we have planted a seed. Here is the link to our padlet that we sent live a fortnight before the session to activate discussion. http://padlet.com/ulimasao/connected. I want to finish with a short paragraph describing how amazing these few days were. Wendy and I were chosen to be live streamed so that was a first for me. We took down two teachers from Newmarket School who were also presenting. I was very proud of them. I attended the Core Education efellows 10 year anniversary dinner and caught up with other efellows. I danced at the annual Ulearn dinner. I met heaps of amazing New Zealand Educators. Then cheered when Core announced the efellows15 because three have presented with me on TeachMeetNZ. Where to next. Well next year Ulearn will be in Auckland city and because this is our city I think it would be the most amazing thing if Newmarket School all attended Ulearn and yes, I will encourage even more staff to put in an abstract next year. 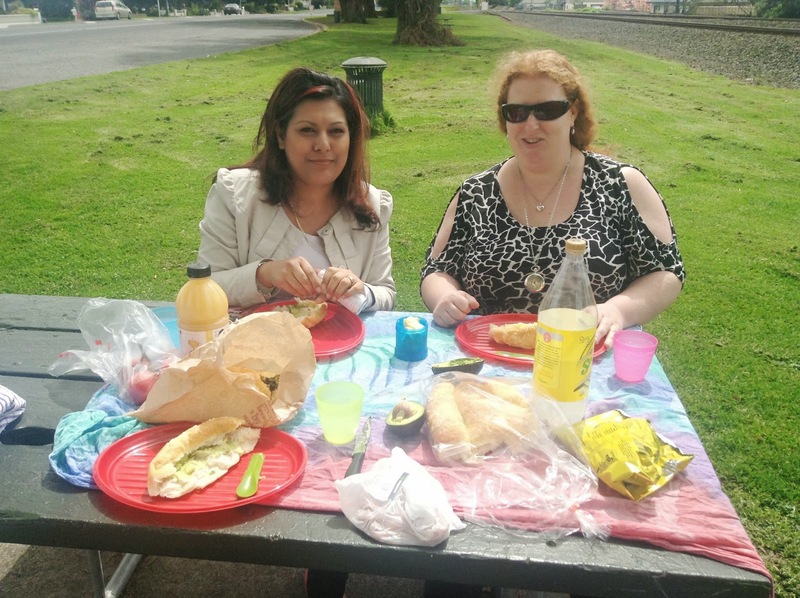 Wendy and I are involved in Connected Educator Month #CENZ14 and are in the process of collaboratively writing a digital bookLET. You can read about that here. And to disrupt Wendy more so that Future Focussed Learning just becomes learning. 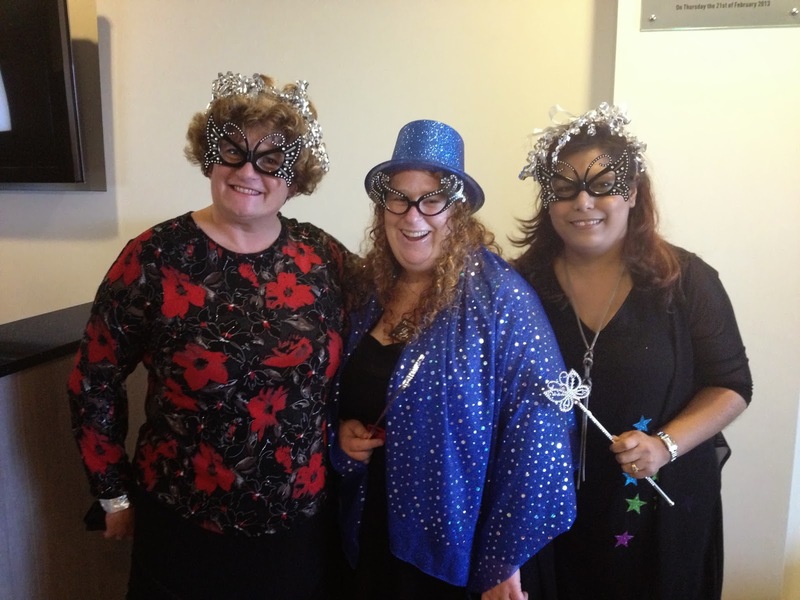 On the last week of the holidays while many teachers were taking a break from face 2 face classrooms, three teachers from Newmarket School traveled down to Hamilton for 4 days of learning at the Ulearn conference. Reubina, Natasha and I drove down together. Natasha was the navigator and Reubina was the driver. Me? I organised lunch. This year Reubina was presenting for the first time and I was there to mentor her. Natasha joined us for extra support. While I was away on sabbatical I set Reubina the task of clarifying her inquiry and to gather photo evidence to share. Which she did. While I was traveling on sabbatical, the three of us met using google + hangout and discussed the process of her inquiry. When I returned, it was a matter of sitting with Reubina to help clarify the thought process. It helped that I have been through the experience myself with Dr Wendy Kofoed our principal when I first presented and Wendy mentored me through the process to clarify my thinking. Reubina presented and was a star. She was articulate and clear and her slides reflected her thoughts. Meanwhile Natasha was onto google docs and reflected at each presentation she attended so that I could see where she was in her thinking. The experience allowed me to see how we could use google docs further for sharing learning as a breathable document. Each teacher attended a selection of sessions where they were up to in their own learning. They both supported me when I presented and it was exciting to have them with me. The highlight for us was attending AllanahK and Barbara Reid’s session on Getting good with google. Together we could discuss what we knew about the apps for education and share how we would use them. Both Reubina and Natasha have been trialling a Chrome book and it has been great to see the their shared learning around using Docs. Ulearn brings together a wealth of knowledgeable educators who make connections both online and face2face. I was able to meet new people, catch up with old friends and put faces to twitter handles. The three of us had an amazing evening at the dinner and like true professionals we all got dressed up in the evening’s theme. What I take away from my sessions is the importance of teachers sharing their critical inquiry to a greater audience. Newmarket School supported Reubina and I in our presentation at Ulearn as part of our professional development. Because we had both been accepted as presenters the process enabled us to have in depth discussions as to what our inquiry looked like. Presenting to an audience allowed us to ensure that we revisited the purpose and goals of our inquiry regularly to check that we were clear on the purpose of our learning as educators. In the past I have regularly attended Ulearn on my own at my own expense and I appreciate that Newmarket School thinks that presenting at Ulearn is important enough to support me. On Thursday the 10th of October, I presented at Ulearn13 conference my TeachMeetNZ project that has evolved extensively since the beginning of the year. TeachMeetNZ is the culmination of my investigation into Hyperconnectivity when I realised that in order to shift my learning I needed to create a site for educators to come together and share. This year I launched TeachMeetNZ as part of my TeachNZ Sabbatical. This TeachMeetNZ presentation time was especially interesting because I had with me 5x virtual presenters who shared their own inquiries. The event was live streamed from the front of the TeachMeetNZ wikispace in front of a live audience. I must thank Becky @BeckyHare26 and the Ulearn13 Tech Team who ensured that I had all the support I asked for and needed to run a successful live Hangout. Each TeachMeetNZ presenter shared something unique to them that was important to their learning and highlighted for me how important it is to have a vehicle for sharing of teachers’ inquiry. If you want to see their inquiries and reflections then you can hear and see their video and their slides on TeachMeetNZ_Ulearn13. Because TeachMeetNZ is all about sharing of learning I have added my slides for viewing from my Slideshare site. 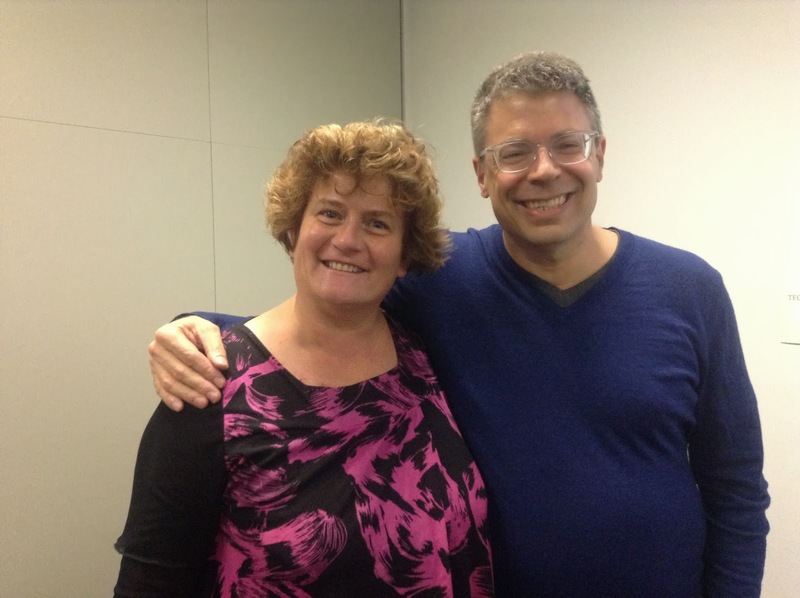 One highlight for Ulearn13 was meeting Mark Pesce @mpesce who has influenced my efellowship learning around Hyperconnectivity. As I reflect on my efellow’s project of Hyperconnectivity I realise that I have created a site for teachers to share their inquiry and have already curated 15 teacher inquiries. So do visit TeachMeetNZ. Mark guided my thinking in that what happens between the nodes of connectivity is what influences the connections and to pay attention to what cannot be seen. From this third TeachMeetNZ I must acknowledge Chris Dillon who has clarified my thinking about having digital badges and ensuring that the badge clicks back to evidence of learning. I had begun the process of awarding a badge but had not thought about ensuring they link back to evidence. From Chris Swanwich, I have realised that if I focus on teacher inquiry, as part of TeachMeetNZ New Zealand Educators will have a rich source of resources to refer to when they undertake their own inquiry. From Hanna Fale I take away that the Learning Environment is conducive to children’s learning and it is the educator who frames that environment with their own understanding of learning. So I continue to frame TeachMeetNZ environment to cater for the evolving demand. From Tim Gander, I have already framed the next step of TeachMeetNZ when we undertake a PE Google+ discussion using TeachMeetNZ as the site to pull it together. From Melanie Matthews, I am reminded to continue framing my learning using SOLO taxonomy as SOLO pushes my own thinking to deeper levels. If I stretch my thinking then everyone I work with is also challenged in their own thinking. I am running another TeachMeetNZ in November and hope that you can join us virtually as again we share teachers learning and reflecting on practice. If you would like to be part of a future TeachMeetNZ hangout to share your learning, please contact me, alternatively you can put your name down on the wiki. The opportunity to meet and make connections with other stunning educators. Digital Badge for your portfolio with a link to evidence of presenting on TeachMeetNZ. The chance to present to a global audience. I also have ideas of discussion for targeted areas of interests that have been seeded by Tim and Marnel. Both these stunning educators have presented on TeachMeetNZ and have recently been awarded an efellowship for 2014. In addition I have some invited Global Educators who have agreed to hangout with me with invited New Zealand Educators. That is coming up soon. To make the wiki even stronger in Teacher inquiry, you can add a comment to the teachers pages or follow the discussion on twitter using #TeachMeetNZ. So do you have an inquiry that you would like to share with a greater audience? It can be an investigation that you are undertaking in your classroom. Last year I shared our story of using the HOT seat forum with our staff at a staff meeting. Just before the term 3 holidays, I presented at Edugnite Leadership and shared our story with Auckland teachers of using a HOT seat forum on Superclubsplus. Then our story was shared via TKI on the snapshot for learning. Soon after that I re-shared our story globally of using Global HOT seats with TeachMeetINT where I was one of 24 educators from 16 countries sharing using Adobe connect. Now my next step is to increase that circle to a greater audience by resharing this story via my blog and then using twitter to broadcast to an even greater audience. Where to next, I plan to continue sharing our story when I travel to European countries as part of a TEACHNZ sabbatical in 2013. I plan to make links with other Global educators of primary school children. Before Ulearn. I attended Pasi Sahlsberg’s session for school leaders. He spoke about the Finnish Education System and why he thought they are placed top in the world for education. He shared his views on equity in education. He shared his ideas about GERM. I made connections with Pasi on twitter so was excited to hear him speak face to face and to hear his stories about his home country. One key connection I made to his story was the importance of first language for accademic success. Here you can download an article I co-authored regarding the importance of first language. 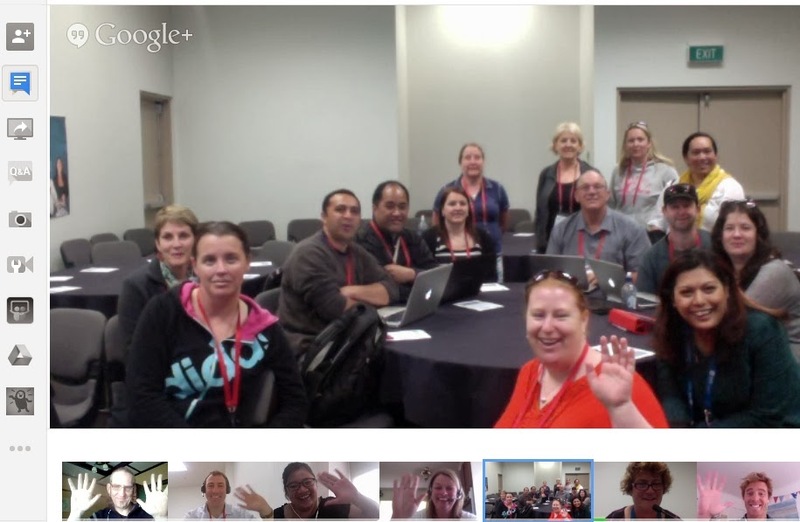 The day before Ulearn12, I attended #GAFENZ. This was the Google apps for education New Zealand Summit. Here I heard educators share their stories on using Google for learning. I made connections with educators who used Google Hangouts but do not think we will be using that with our primary school children. However there is nothing stopping us as teachers using it to share our stories with each other. At ULEARN 2012, each of the plenaries shared a photo from their school days and shared memories of teachers who influenced them. Therefore as part of this blog I have located my photo taken in 1972 or 40 years ago. 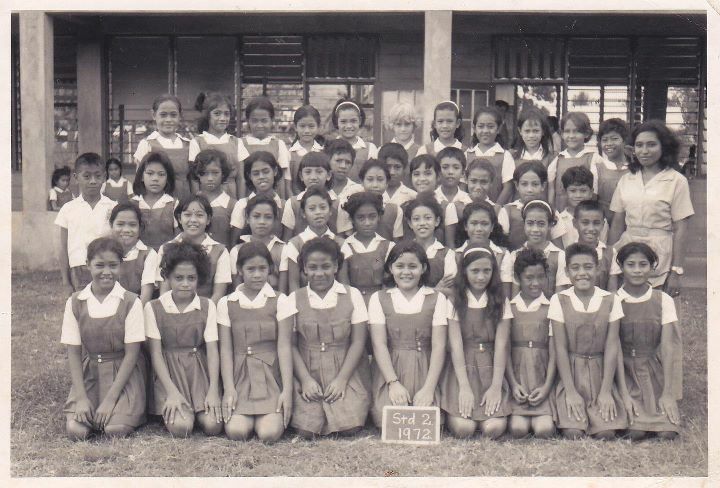 I was a pupil at St Mary’s Savalalo in Apia Western Samoa. My teacher was Miss Laulu. I was one of 42 pupils in standard 2. This was my last year before we shifted to New Zealand. I have that story here on my wiki. I have been in New Zealand now for just over 40 years yet I still call Samoa home. I am nostalgic when I think of Samoa. Which pupil is me? Surely you can guess? Yes I was as fluent in Samoan as I am now. My story on my wiki was the closing plenary presentation for Fagasa in 2002. Yes I shared my story in Samoan. Ulearn12 provided me with opportunities to making connections to some of the stories I heard. Most people will share connections from the plenaries. You can read all about the plenaries messages here in the shared Google docs. However for me, the highlights included making connections with the 2013 efellows and introducing them to the coreefellows wikispace. In addition when I attend Ulearn I try and attend any Pasifika or Maori teachers sessions. This year this included Janelle Riki, Moana Timoko, Anaru White, and Togi Lemanu who shared blended elearning for Māori and Pasifika Students. They spoke about the importance of pedagogy. I especially made connections with Moana as she spoke about BROfessionalism. I also listened to Togi share his story about Pasifika Learners and the blended model that he used. I was also privileged to listen to some stunning teachers share their learning. These included Mary Rahiti and Tania Lako from Sutton Park speaking about Flashing Flipcharts. I sat in on Tupou Kolo’ofa’i sharing how she uses an active board when teaching the arts. Other stories included @arti_choke aka Pam Hook sharing about SOLOtaxonomy. I would have liked to hear more about the ROW and other global projects. I also would have liked to have heard Simon Evans Software for Learning presentation where he shared about our Skoodle Project. I attended the launch of the Digital Citizenship project launched at the National Library. Already I have begun contributing to this collaborative project. What ULEARN did for me was to remind me of others and to continue mentoring our teachers in the use of the tools with learning. I am conscious of the space between the nodes concept or as Moana called it BROfessionalism. I also wish to mentor a group of students as they prepare for a Global sharing. 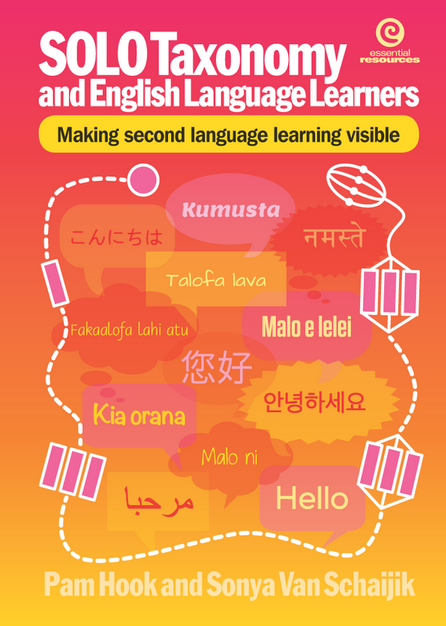 From Ulearn I have made contact with other New Zealand Global educators who have been part of collaborative work between countries and primary school children. My aim is to coordinate a TeachMeet session here in New Zealand using Google hang-outs. One word I took away from Ulearn was Ubiquitous computing. This is like the Internet of Things. This is machines that fit the human environment instead of forcing humans to enter theirs. The message that I take back for my school is ‘its no longer enough to do powerful work if no one sees it.’ Therefore create content to share your stories with other educators. So where are your stories?